Iodine: How Much is Too Much? We’ve already covered the issue of not getting enough iodine, but there’s also another side to this coin: iodine is very dangerous if you get too much, especially when it’s taken as a supplement without the other nutrients that would naturally accompany iodine found in whole foods. And there’s a lot of misinformation out there about taking huge megadoses of iodine to cure various diseases or “detox” from chemical exposure. So take a look below at some of the myths and truths about iodine, how much you really need, and why it’s not a miracle cure for anything. Again, please remember that Paleo Leap is not a doctor! Especially if you’re struggling with a serious health condition, ALWAYS talk to a doctor before you make any medical decisions. Iodine: How Much is Enough? The US recommended daily intake of iodine is 150 micrograms (mcg) per day for most adults, and about twice that for pregnant and nursing women. This level of iodine intake prevents goiter, mental retardation, and all the associated problems with iodine deficiency. Some alternative medicine doctors think this isn’t enough, though. They recommend higher intake – much higher, up to milligram doses. Take a look at some of the reasons backing up this recommendation, and what kind of evidence there is to support them. 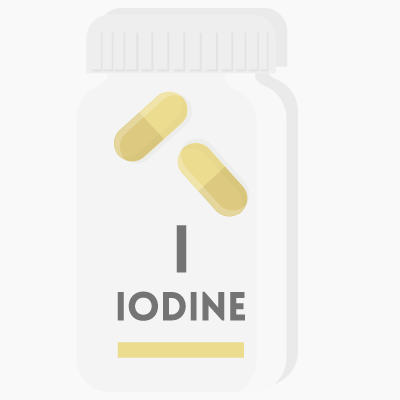 This is the most common reason why people take iodine supplements, but the evidence is not simple and in fact may show some danger from the high-dose pills. In healthy people, iodine deficiency is clearly related to hypothyroid disorders, and adequate iodine intake is preventative. But too much of a good thing is not necessarily better. This study, for example, found that iodine overnutrition also contributed to autoimmune thyroid disorders and hypothyroidism. And this study found a positive association between consumption of seaweed (a rich source of iodine) and thyroid cancer in Japanese women. This study threw an even bigger wrench in the gears, with the finding that urinary iodine levels were more or less unrelated to thyroid hormone production in healthy people without iodine deficiency. The results suggest that as long as you avoid deficiency, your thyroid function is not likely to be improved by taking more iodine. Things get even trickier when you’re talking about people who already have thyroid diseases. There’s substantial evidence that, in the case of a pre-existing thyroid problem, more iodine might make things even worse. In this study, even a very low-dose iodine supplement provoked symptoms of hypothyroidism in patients with pre-existing autoimmune issues. The short version: if you already have (or suspect) a hypothyroid disorder, talk to your doctor before you change your iodine intake. Thyroid hormones are incredibly complicated, and the odds of anyone diagnosing you accurately over the internet are very low. Another common justification for high-dose iodine supplements is based on the chemical soup that we all have to put up with in the modern world. Specifically, some practitioners are worried about a family of chemicals called halides – a family that includes iodine, but also bromine, fluoride, and a few others. Some of these are used as preservatives in food and medicine; others get to us as environmental toxins, pesticides, and other pollutants. The theory is that, since they’re structurally similar to iodine, these other chemicals bind to iodine receptors, preventing the iodine from getting where it needs to get. To make up for our high exposure to them, we need a lot more iodine in the modern world than we used to. This theory, unfortunately, doesn’t pan out in real life. For example, this study summarizes the evidence about iodine and fluoride: there’s a very small effect in test tubes and animal studies that used extreme amounts of fluoride, but there is no noticeable effect at the levels of fluoride a normal person is likely to encounter in drinking water or toothpaste. Unless you plan to be chugging gallons of mouthwash every day, don’t worry about increasing your iodine intake to compensate. Other doctors cite studies on Japanese iodine intake, which has been reported as reaching levels many times the 150-microgram recommendations. Although some reports have placed it even higher, this paper analyzed previous evidence and proposed 1000-3000 micrograms (1-3 milligrams) per day as a reasonable estimation. That’s between 6 and 20 times the USDA standard, and although there are isolated cases of iodine excess, most Japanese people don’t seem to suffer any ill effects from their iodine-rich diet. It’s almost common sense at this point that elderly people eating a traditional Japanese diet are doing something right (they’re certainly a lot healthier than your average Americans). So considering a high consumption of iodine-rich seaweed is a distinctive feature of the traditional Japanese diet, it’s reasonable to suggest that maybe a very high iodine intake is part of what makes Japanese diets so healthy. This may be true – although there are so many other differences between Japan and the United States that it’s completely impossible to pin anything down on iodine. But on the other hand, it also seems implausible that we would have evolved to need the very high levels of iodine intake typical of Japanese diets. That amount of iodine isn’t achievable without seaweed or supplements, and humans have been thriving for millennia in areas without either. For example, Weston A. Price documented many healthy and thriving cultures who didn’t come anywhere close to that level of iodine intake. 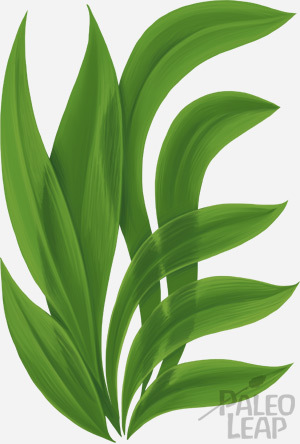 The upshot: studying Japan is very interesting, and seaweed is certainly a very healthy food, but don’t rely on Japanese nutrition surveys as conclusive evidence that everyone else ought to be taking supplement megadoses. Another intriguing use of iodine in a medical setting is as an antidote to radiation poisoning. In the wake of the Fukushima disaster, iodine made headlines as people in Japan (and around the world) scrambled to get their hands on very high-dose supplements. Using doses much bigger than any reasonable intake from food, these pills completely saturate the thyroid with iodine, leaving it unable to absorb any radioactive iodine from the contamination zone. This is life-saving in the immediate aftermath of a nuclear disaster. But after reading about this, many people start considering iodine supplements not because they live anywhere near a nuclear reactor, but because they’re concerned about background electromagnetic radiation from cell phones, power lines, or other sources, and they think high-dose iodine supplements will protect you. But there’s just no evidence to back up the idea that electromagnetic radiation is even a problem, much less that iodine will do anything to solve it. This is explained in more detail in the article on microwaves, but the short version is that you can rest easy: if there really is a nuclear disaster that requires iodine supplements, it will be front page news. After going through all the various evidence presented in support of iodine megadoses, the results should be pretty clear: the vast majority of people shouldn’t even be considering them. For the victims of nuclear contamination, iodine is crucial. For thyroid patients, it may or may not be warranted – your doctor will be able to discuss it with you. But almost everyone else should be fine with an intake close to the recommended daily value of 150mcg, which is achievable from whole foods without the need for any supplements.